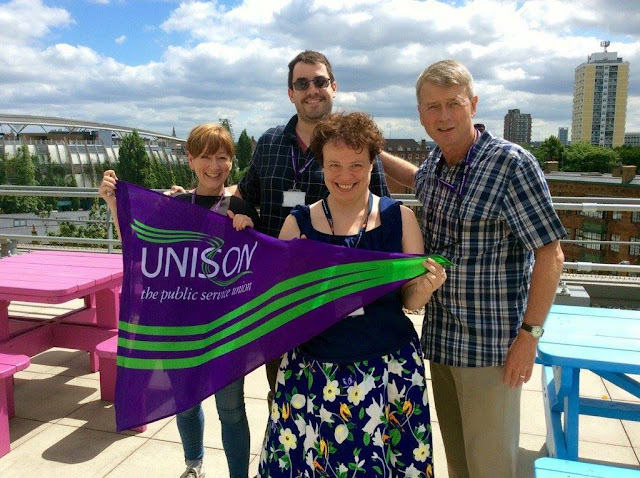 Picture of Notting Hill UNISON activists in Vauxhall with our ace branch Fighting Fund Organiser, Mary Stump (left), after one of the most successful lunchtime recruitment events I have attended. Six new members filled out forms and there was huge interest and discussion from staff. . I was there to help out on any pension enquiries as well to meet branch members and activists. Many thanks to Notting Hill HR for providing a "hand masseuse" to attend our event (which went down really well) and for hot Pizza!